"A Hobbit House". :) Others ask if it's a bomb shelter. 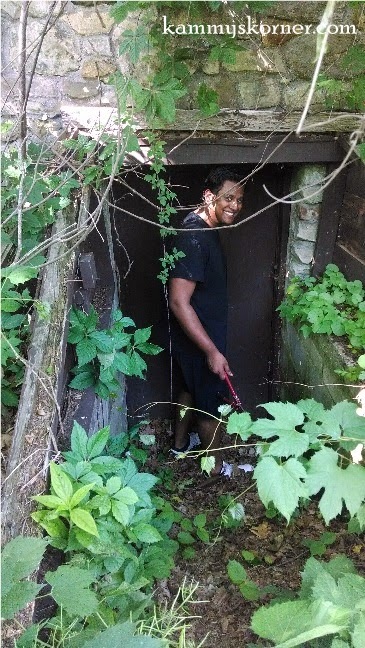 Actually it is called a root cellar. A root cellar is a structure built underground or partially underground and used to store vegetables, fruits, and nuts or other foods. 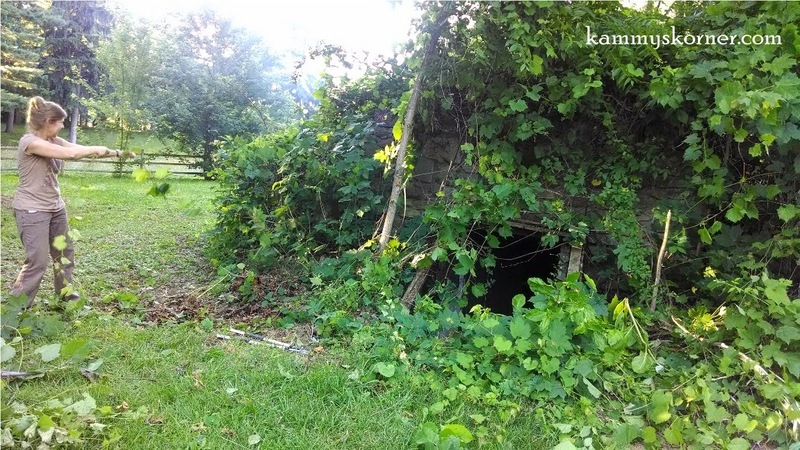 Root cellars are for keeping food supplies at a low temperature and steady humidity. They keep food from freezing during the winter and keep food cool during the summer months to prevent spoilage. Typically, a variety of vegetables are placed in the root cellar in the autumn, after harvesting. A secondary use for the root cellar is as a place in which to store wine or home-made alcoholic beverages. Vegetables stored in the root cellar primarily consist of potatoes, turnips, and carrots. Other food supplies placed in the root cellar over the winter months include beets, onions, jarred preserves and jams, salt meat, salt turbot, saltherring, winter squash, and cabbage. A potato cellar is sometimes called a potato barn or potato house. Separate cellars are occasionally used for storing fruits, such as apples. Water, bread, butter, milk, and cream are sometimes stored in the root cellar also. In addition, items such as salad greens, fresh meat, and jam pies are kept in the root cellar early in the day to keep cool until they are needed for supper. The photo below was taken back in May, before everything greened up and before it became completely engulfed in vines, blackberry brambles, and trees. Can you see it there on the bottom left? 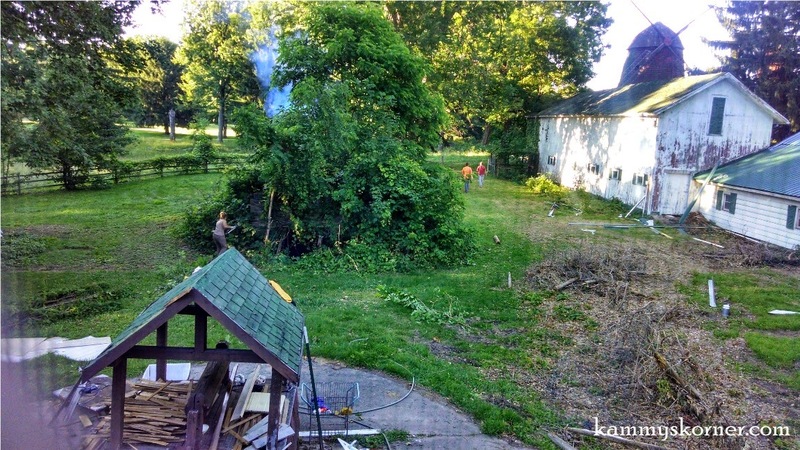 Yes, the backyard had gone back to the way of Cain. Looking at this picture now, I can't believe how far it's come in a few months! You leave nature to herself long enough and she will just take over. Can you spy the root cellar now?? Our friend Daniel clipped the padlock off the door so we could see what was in this mysterious little Hobbit place. My mom was just itching to get started cleaning up this bad boy. And here's what we managed to get it to look like before my mom left a few days ago!! 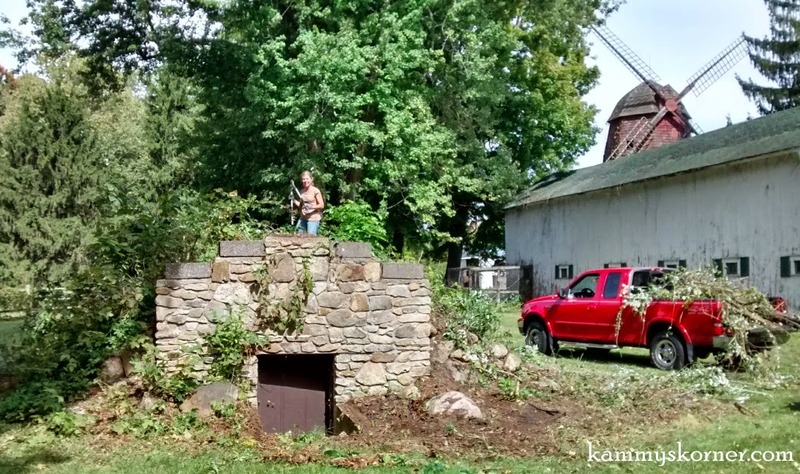 Can't you just envision the flowers and landscaping that once surrounded this beautiful root cellar? I'm hoping that once again, it will be eye candy... rather than an eye sore! And when I called my kids in for showers before bed tonight... they had their sleds out and were sledding down the dirt on the hill. I told them to be patient and wait for snow! 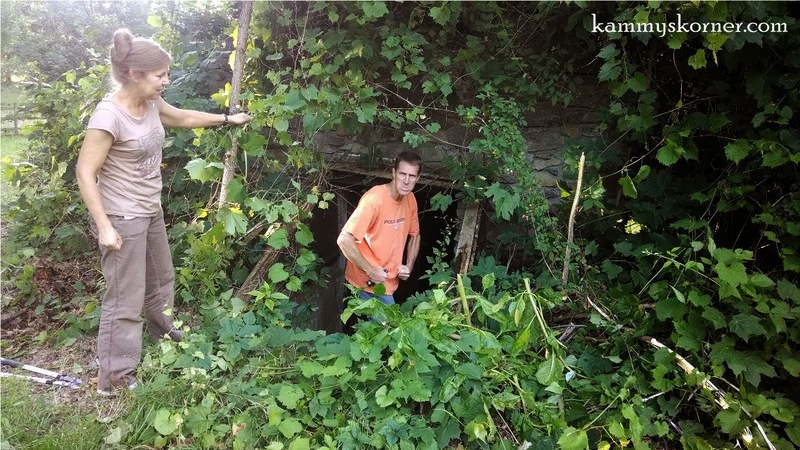 I'm incredibly jealous of the root cellar. I've always wanted one. I love the play by play of the renovation. 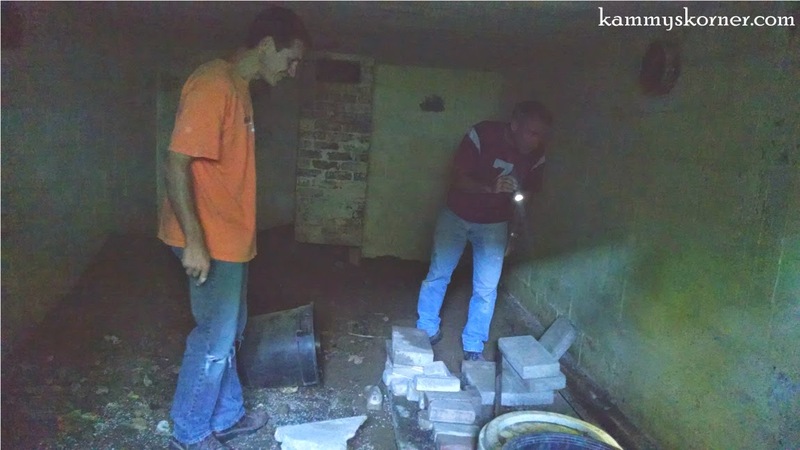 How much fun is that root cellar! You did some hard work cleaning out all that foliage, it looks great! I love that your kids were sledding down the dirt...awesome. 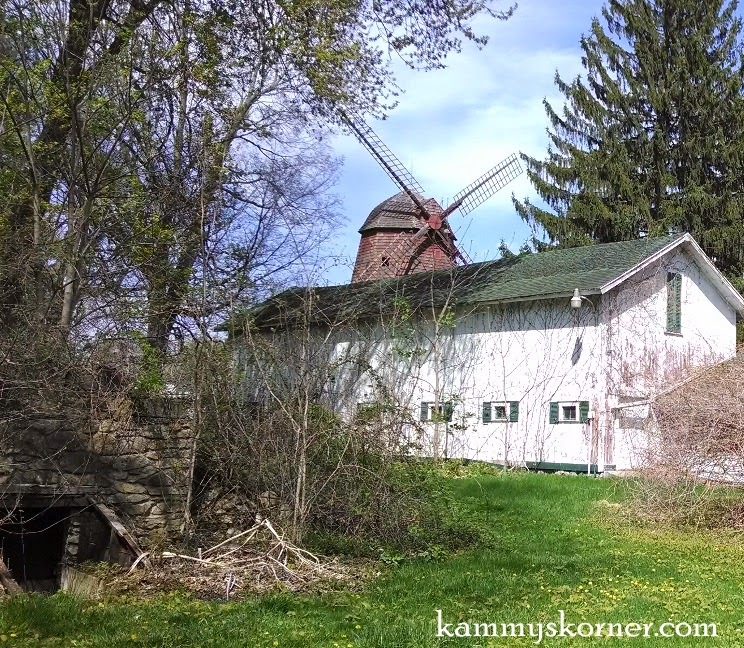 Can't wait to hear about the windmill!